You’re probably familiar with this old proverbial phrase about turning a negative into a positive. But turning life’s lemons into lemonade takes more than just an optimistic, glass half-full attitude. Especially when you’re a college and those lemons arrive in the form of a lawsuit accusing your campus of not being accessible to students with disabilities. It takes creative problem-solving, resilience, self-reflection, and perhaps most importantly, a team of people committed to each other and committed to finding a solution. In 2015, that’s exactly where Atlantic Cape Community College found themselves after two blind students and the National Federation for the Blind filed a complaint against them for violating Title II of the Americans with Disabilities Act and Section 504 of the Rehabilitation Act. In the Consent Decree that followed, Atlantic Cape agreed to, among other things, ensure that students with disabilities would have equal access to their instructional materials at the same time as their non-disabled peers. They were given a three-year timeline to make their learning materials, websites, technologies, and campus facilities accessible to all students. A daunting task to say the least, Atlantic Cape was about to embark on their journey to inclusion. For the first episode of the Ally Tour Podcast, I spoke with the team who helped lead their campus through the challenging steps necessary to make their learning content more accessible for all their students. Tucked away in the Pine Barrens of New Jersey, Atlantic Cape Community College sits just a stone’s throw from the Jersey Shoreline and the ringing slot machines of the Atlantic City casinos. Home to around 5,000 undergraduate students, Atlantic Cape features an Academy of Culinary Arts and a nursing program along with over 40 other programs, supporting a diverse population of students on their career path and on their way to a four-year degree. As you might imagine, a three-year mandate to 100% campus-wide accessibility demanded an immediate plan of action and an overhaul of many of their processes for supporting students with disabilities. But as Mike Barnes- director of the Center of Accessibility- describes in the podcast, the team also viewed the decree as a “good thing” in that it provided them with a blueprint and motivation to take actionable steps to improving the quality of the education experience for all their students, not just those with disabilities. The process began by hiring a blind student as a consultant to test all their campus systems, helping the team create a map of the student experience and begin putting the procedures in place to ensure points of access. Training and educating faculty on accessibility became priority number one for the instructional technology and accessibility teams. But how could they keep track of and document the accessibility of all the content in their learning management system (LMS)? Director of Instructional Technology Michelle Perkins was assigned the impossible task of trying to ensure course content both became and remained accessible across hundreds of courses and thousands of content items. In their search for solutions, they discovered Blackboard Ally in March 2017, and became one of the first campuses to adopt Ally as part of their accessibility solution. In those days, we would go through page after page after page of 0%, 5%, we were excited, because we had 10 courses that were 100% accessible. And then that number grew more and more and it was exciting watching the change. It was really exciting. So how did faculty respond to the decree and to this sudden demand to make their course content accessible? During my visit, I spoke to several Atlantic Cape faculty along with Vice President of Academic Affairs Dr. Josette Katz about how they began the process of cleaning up their courses and making their content more accessible, one file at a time. 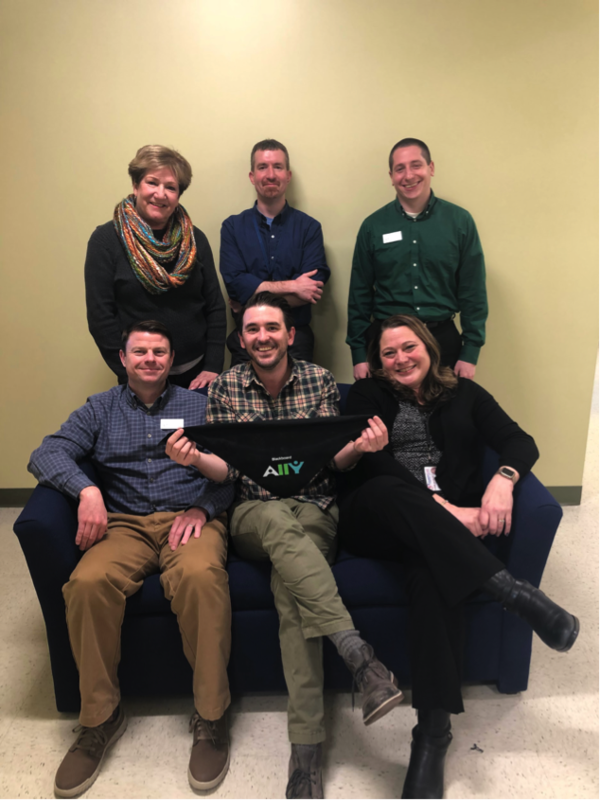 Time and again, I heard faculty talk about leaning on each other for support and guidance, and always finding a helping hand from the team and the tireless efforts of Chad Bullock, senior manager of adaptive technology. Faculty also remarked how rewarding it is to know that students can now access their courses regardless of need and ability. I had the opportunity to chat with Juliana, a triple major(!) with a passion for the culinary arts, who also happens to have a visual impairment. With the support of Chad, her instructors, and Ally’s alternative formats, her dreams of working in the food industry are coming to fruition, as she prepares to graduate in the Spring and move on to a four-year university at nearby Fairleigh Dickinson. Her reasons for choosing FDU? Because they had the processes and technologies in place to support her learning needs- including Ally! Studentlinkglobal.com – Find More Information – We Link you to the Power of Learning!